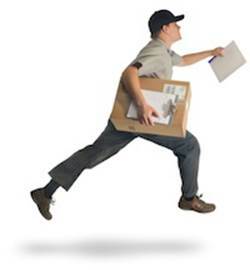 DOOR TO DOOR 24/7, FAST interstate air freight, including regional and remote locations, mine-site delivery specialists. “Yes, of course , 24/7 DOOR TO DOOR, INTERSTATE TO ALMOST ANYWHERE IN AUSTRALIA! “No, please be very careful about who you choose when sending your goods by air , remember its easy to set up a website and call yourself an air freight specialist!, there are some very professional air freight operators in Australia, with many years experience. When you choose CargoMaster you are working with Australia’s best air line-haul operators (as selected by CargoMaster) and the most experienced people ! 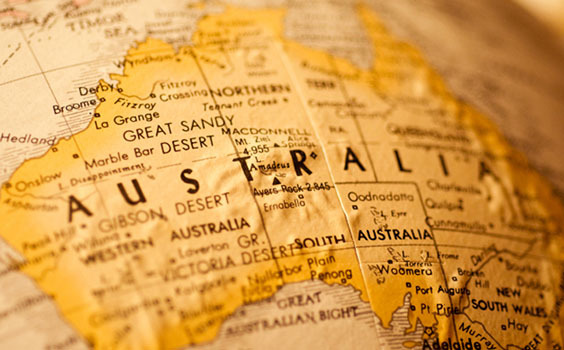 CARGOMASTER works with an Australia wide team of CONNECTED AND DEDICATED TRANSPORTATION PROFESSIONALS. CargoMaster is a FULLY INSURED, AIR FREIGHT SPECIALIST, boasting 35 YEARS TRANSPORTATION EXPERIENCE . CargoMaster is renowned for delivering COST EFFECTIVE INTERSTATE AIR FREIGHT SOLUTIONS, SAVING OUR CLIENTS THOUSANDS OF DOLLARS in air freight and shipping costs, CargoMaster has moved hundreds of air freight consignments all around Australia, shipping all types of cargo,! CargoMaster offers you a PROVEN, TECHNOLOGICALLY ADVANCED team of EXPERIENCED PROFESSIONALS, CargoMaster KNOW-HOW to get your goods uplifted and around Australia QUICKLY AND COST EFFECTIVELY. SIGNIFICANT CHANGES AND AMENDMENTS TO THE 59TH EDITION (2018) The 59th edition of the IATA Dangerous Goods Regulations incorporates all amendments made by the IATA Dangerous Goods Board and includes addenda issued by ICAO to the 2017–2018 edition of the Technical Instructions. The following list is intended to assist the user to identify the main changes introduced in this edition and must not be considered an exhaustive listing. The changes have been prefaced by the section or subsection in which the change occurs. 2—Limitations 2.3—Dangerous Goods Carried by Passengers or Crew 2.3.5.9—Limitations have been adopted on the number of portable electronic devices (PED) and the number of spare batteries for the PED that may be carried by passengers or crew. The limit is a maximum of 15 PED and a maximum of 20 spare batteries. These maximums may be exceeded with the approval of the operator. Table 2.3.A has also been revised to reflect these limits. 2.8—Operator Variations There are a number of additions, deletions and amendments to variations submitted by operators. 3—Classification 3.9.2—This subsection has been restructured to bring in all substances and articles that are assigned to Class 9 with their respective UN numbers and proper shipping names. The substances and articles have then been grouped according to the hazard they pose in transport. 4—Identification 4.4—Special Provisions A70—Which identifies the conditions under which engines may be considered as “not restricted”. The conditions have been revised to require that the shipper provide written or electronic documentation stating that a flushing and purging procedure for flammable liquid powered engines has been followed. A203—Identifies that vehicles powered by an engine powered by both a flammable liquid and flammable gas must be assigned to the entry Vehicle, flammable gas powered. The special provision has been revised to clarify that in this instance the applicable provisions of PI 950(a) must also be met. 5—Packing 5.0.1.5.1—Has been revised to include new restrictions on packages containing lithium batteries, UN 3090 and UN 3480 only, being placed into an overpack with packages containing dangerous goods classified in Class 1 other than Division 1.4S, Division 2.1, Class 3, Division 4.1 or Division 5.1. 5.0.2.11—An additional note has been added to identify that lithium batteries, UN 3090 and UN 3480 only, are not permitted in the same outer packaging with dangerous goods classified in Class 1 other than Division 1.4S, Division 2.1, Class 3, Division 4.1 or Division 5.1. Packing Instructions PI 951—Has been revised to include a requirement that if the vehicle is powered by an engine using both flammable gas and flammable liquid fuels, then the shipper must also meet the relevant provisions of PI 950. PI Y960—A note has been added to reinforce that dangerous goods in PG I are not permitted. PI 965 and PI 968—Text has been added to identify the restrictions on packing lithium batteries (UN 3480 and UN 3090 only) in the same outer packaging with dangerous goods classified in Class 1 other than Division 1.4S, Division 2.1, Class 3, Division 4.1 or Division 5.1. There are also restriction on placing packages containing lithium batteries (UN 3090 and UN 3480 only) into an overpack with packages containing dangerous goods classified in Class 1 other than Division 1.4S, Division 2.1, Class 3, Division 4.1 or Division 5.1. These restrictions apply to Section IA and IB. For Section II, cells and batteries must not be packed in the same outer packaging with other dangerous goods. 7—Marking & Labelling 7.1.5.5.2—Text has been added recommending that the UN number(s) on the lithium battery mark be of a minimum size. Same Day Air Interstate Air Freight, door to door nationwide.Same day interstate is our premium Australia-Wide service designed for high priority urgent interstate air freight. CargoMaster’s urgent same-day interstate courier services are available every day, all around Australia. CargoMaster’s Same day interstate Air courier services are designed for high priority sameday air deliveries. Your time sensitive goods take priority and are collected within minutes of booking, then dispatched on the very next available flight. For Australia’s fastest interstate air freight service contact the CargoMaster team, Australia’s most trusted and experienced Same Day interstate air freight operators.